Arranging funeral memorial program for the funeral program for the child, as well as father, is definitely not pleasing. But, we have to perform our social duties for the well being of the departed soul. 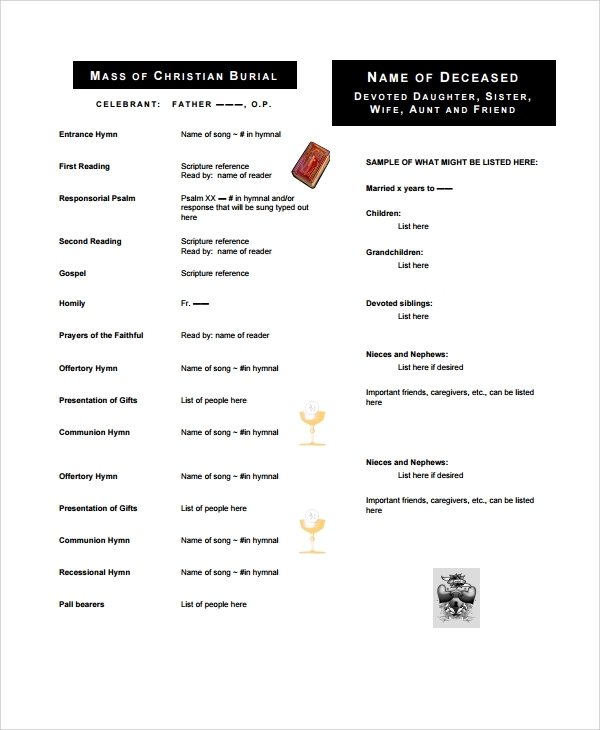 Use this printable PDF template to list down funeral program arrangements. 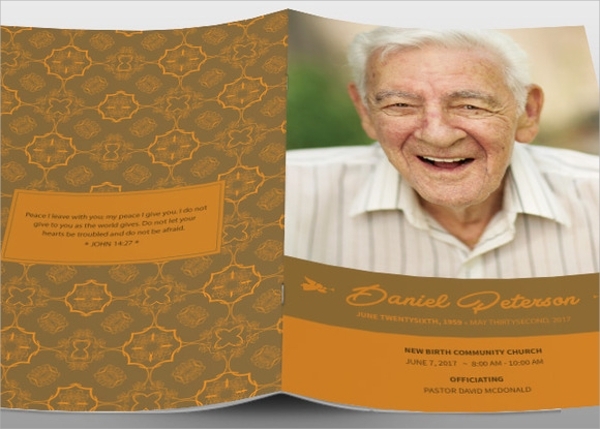 Funeral program for grandfather is a painful experience. With sad mind and broken heart, one needs to perform the social rituals. In order to make the program concluded with perfection, use this simple PDF template. 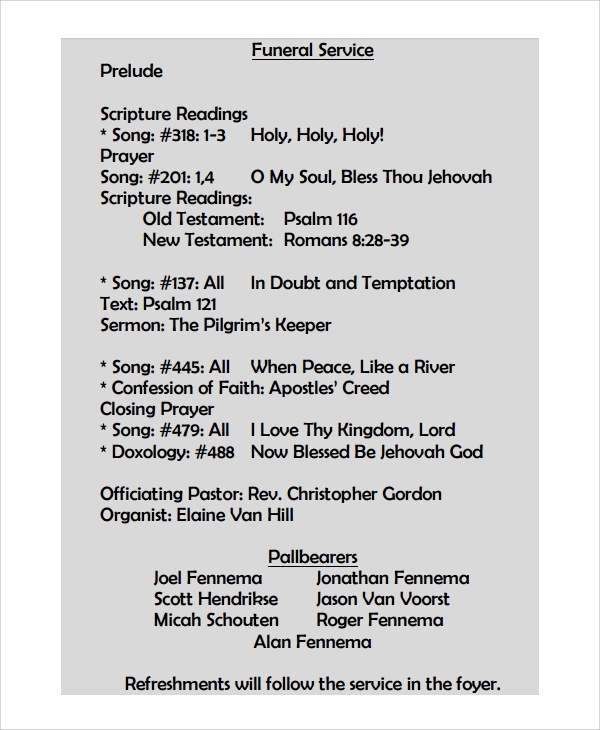 Print it and list down all the necessary arrangements so that you do not miss those out. 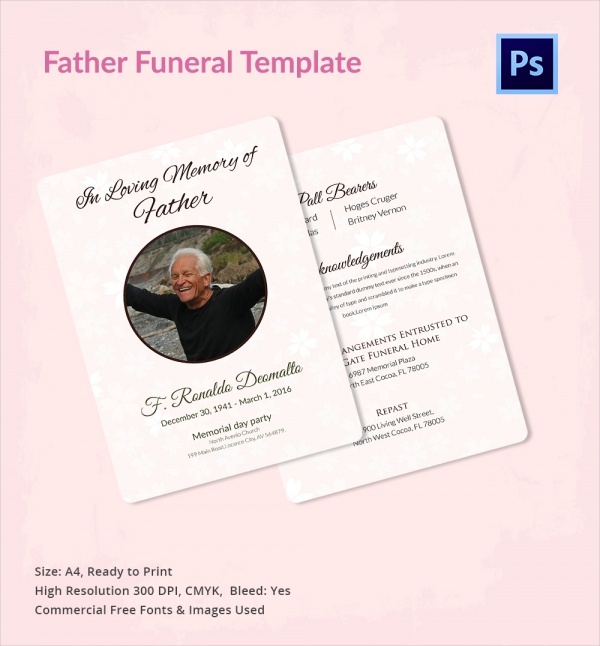 This is a ready to use PDF template that lists down all the necessary rituals and arrangements are required to be performed for the funeral of the deceased father. 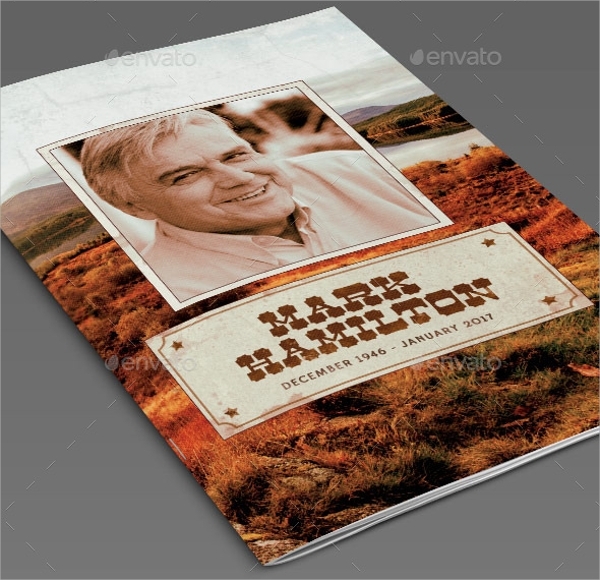 The template is printable and you can customize it too as per your requirements or convenience. Arranging funeral is bidding ‘Good Bye’ to the deceased soul. We have to perform the social rituals, going by the traditional concept that the ritual would help the deceased to find the best place at heaven. Simply use this printable template to make all the arrangements for a funeral with precision. 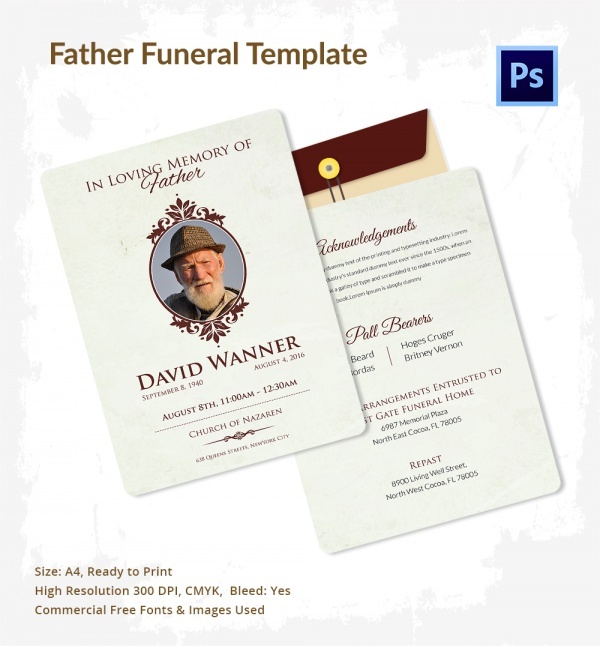 How to Write Father’s Funeral Obituary? How to use Father Funeral Program Template? 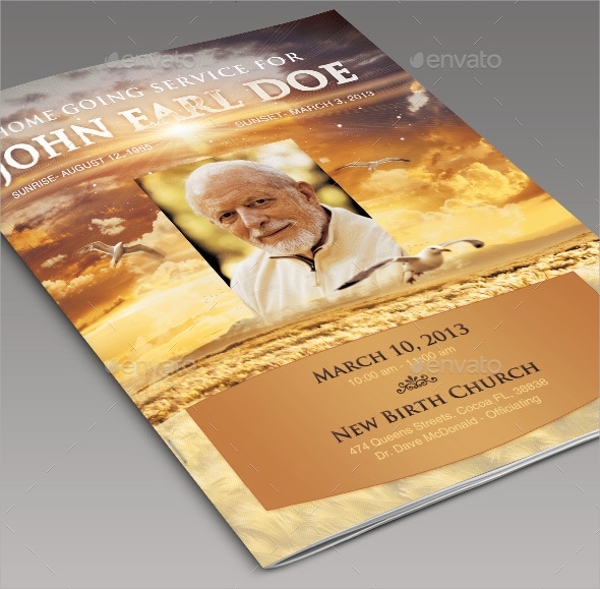 What are the Benefits of Funeral Program Template? 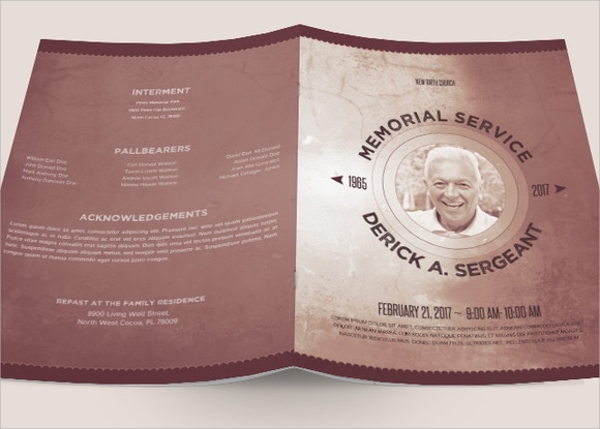 We do not have a proper idea on how a perfect funeral program card should be crafted. Ideally, it should contain some photographs of the deceased, and a short biography about the person has to be written. It must mention funeral program date and all the events or rituals that will be concluded in that program. 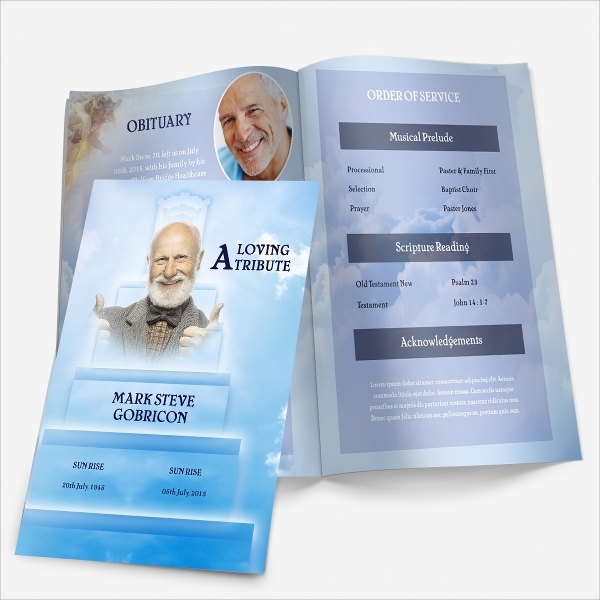 Some beautiful quotes and a few photographs of the deceased will add perfection to the funeral program card. To make sure that it has been made with precision, the simplest way is using a template. Using template will help you to follow the proper format. 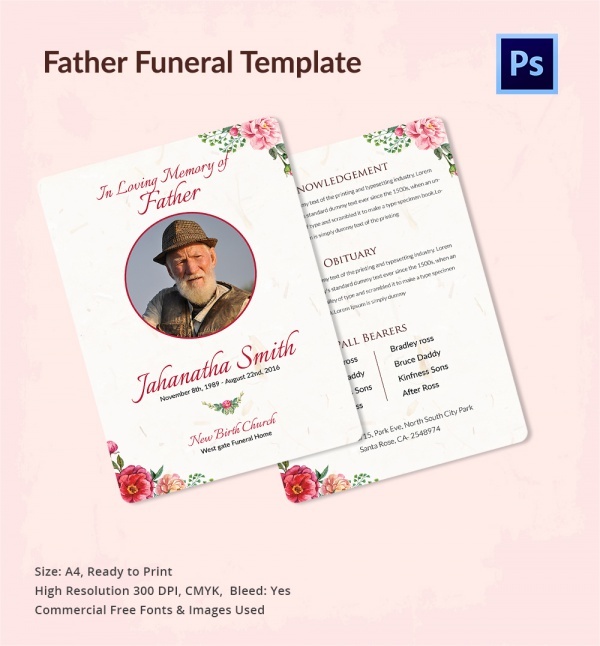 At the conclusion note, it has to be stated that father funeral program obituary should be written in perfect order and organized form. The easiest way of writing it is using a good template. You can customize the PDF templates and then you can print them for use.